What’s the Project? 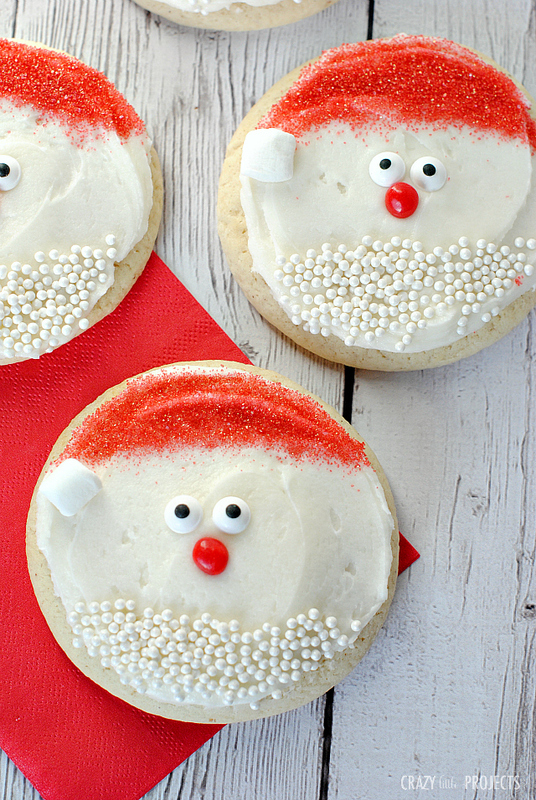 These cute and simple Santa cookies are a fun tradition to make with the kids for Christmas. 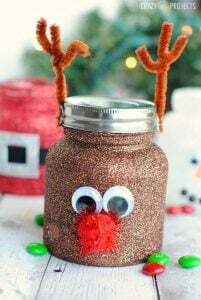 They are so easy to make that the kids can help and they turn out so adorable. OK, this is it! I have all of my Christmas shopping done, most of my wrapping done and all of my baking done, so for the next week I am going to hit it hard on Christmas projects to share with you-so be ready for a Christmas extravaganza this week! Today I am thrilled to show you my latest creation-these super easy, simple Santa Cookies. Quick and easy to make and something that the kids will love. Perfect for a kids party! Seriously-so easy to make! My 4 year old made one with very little help and it turned out great! I think these are going to be a new Christmas favorite around our house! 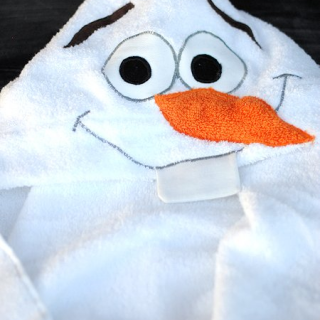 It’s fun to have something cute like this to make with the kids or grandkids, isn’t it? 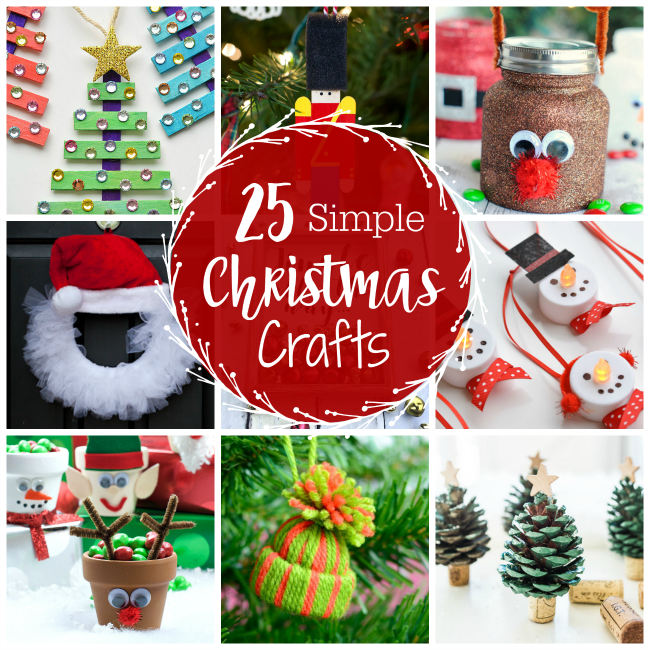 These could be great for a holiday party or just for a fun activity at home. On the top of the cookie, shake red sprinkles to form the hat. Add a mini marshmallow to one end to be the pom pom. On the bottom, shake white sprinkles to be the beard. Add eyes and a red hot nose and you are all set! See how easy that was?! I hope you love making these Santa cookies. Your cookies are super duper cute! It’s a fun way to decorate your Christmas table.